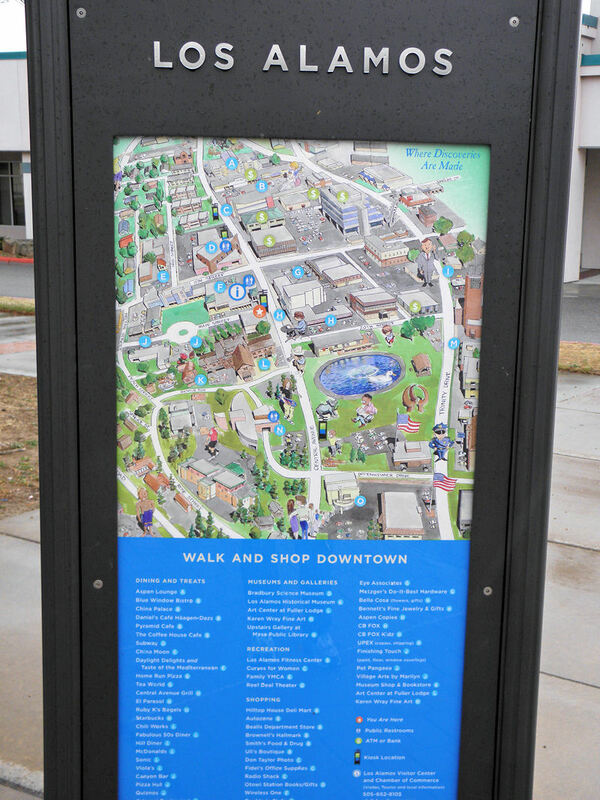 Los Alamos Daily Photo: Tourist Map of downtown Los Alammos. Tourist Map of downtown Los Alammos. Visiting Los Alamos, NM. This map is found near Fuller Lodge across the street from Starbucks. Look At Me! I Feel So Pretty! Land Of Enchantment Fills The Air.